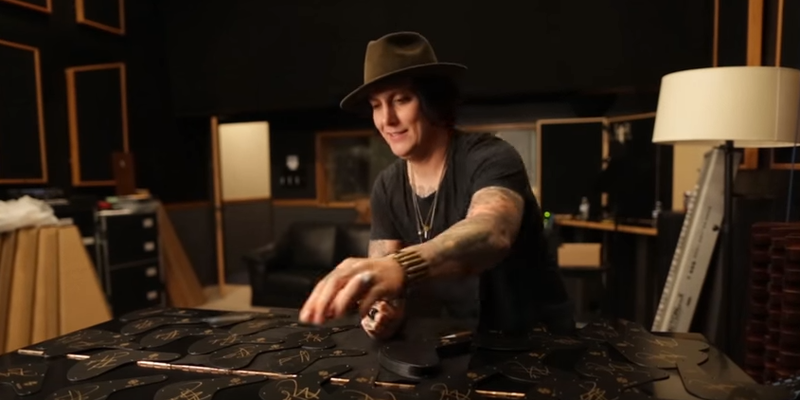 New from the show floor at NAMM 2016, the guitar is designed to replicate the guitar Synyster plays onstage, the Schecter Synyster Gates Custom S Electric Guitar boasts outrageously heavy tone and comes hand-signed by Gates himself. Only 100 of these signed guitars are being made available worldwide. Each one features a laser-etched backplate signed by Syn himself. Signature tone with upgraded sustain. Order yours today at Musician's Friend.